Founded by Chief Master George C. Hristescu, Instructors are personally selected not only for their Martial Arts Skills but for their ability to effectively communicate the Curriculum and the Knowledge to students of all ages. Nothing beats having a great teacher - and we have the best. 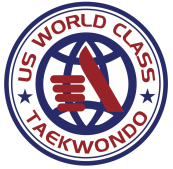 Our Instructors are Certified Full-Time Taekwondo Professionals with many years of Experience on the mat.